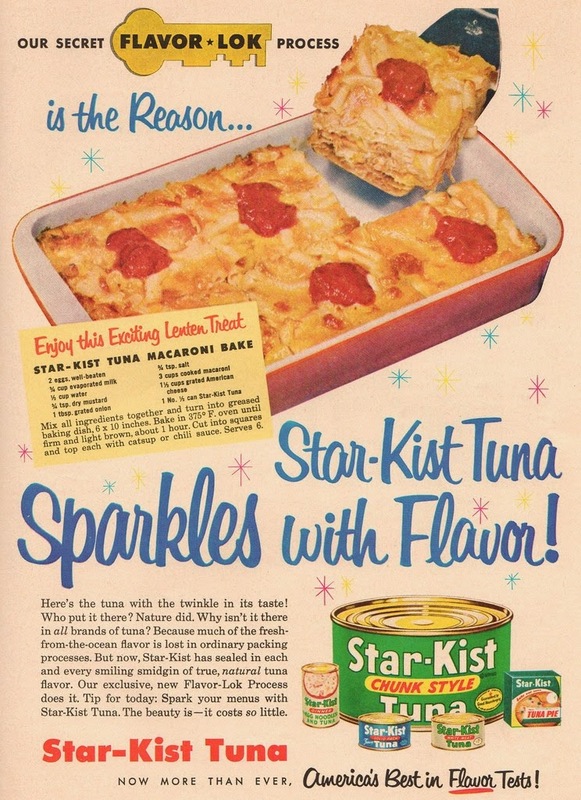 I bet there is a couple dozen recipes for Tuna casserole, that I have came across while looking at vintage advertisements. This caught my eye because of that wonderful pink Pyrex baking pan. 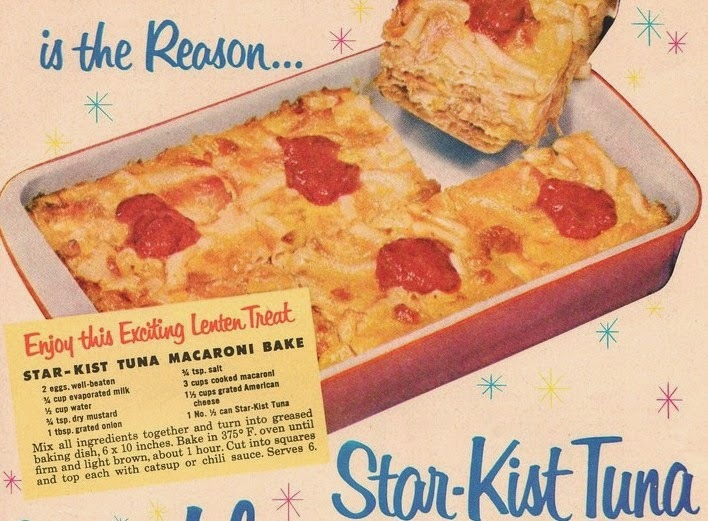 My personal favorite Tuna casserole recipe, is the one that uses a can of cream of mushroom soup as its base.